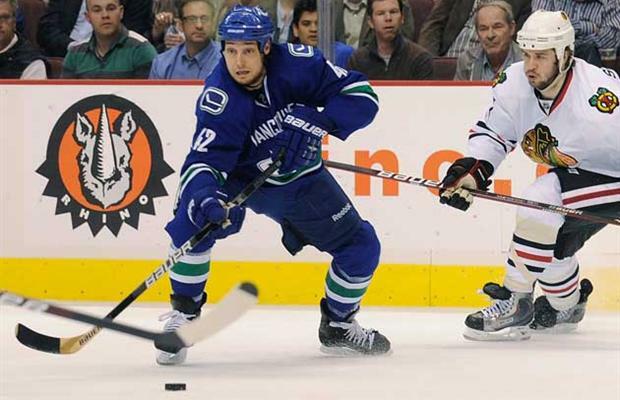 It’s a shame this whole Vancouver – Chicago series was a disappointment because both teams never played their “A” game against each other in the same match. If that had happened, I have no doubt the series would have gone to 7 games and into overtime. At the end, games were won because the losing team didn’t show up. That’s why I don’t believe Chicago was better. More depth? Yes. By now, I’m sure everyone has examined the wreckage that is the 09-10 playoff run. Allow me to offer up a couple of observations. 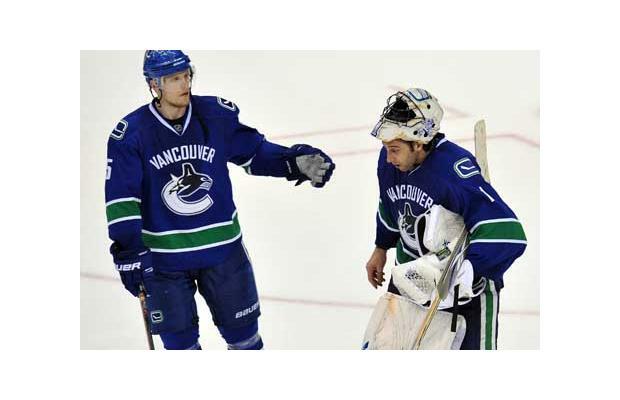 Now it would be unfair to single out Roberto Luongo as the sole reason for the Canucks demise because there were plenty of blame to go around. 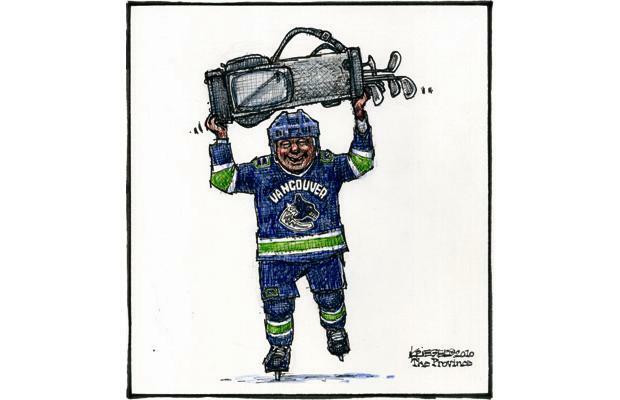 The Sedins, Kesler, Burrows, Demitra, Bieska, to name a few. When Kyle Wellwood was your best skater, something is not right. That being said, Luongo is, supposedly, the best of the bunch and his team look to him for direction and motivation. If he can’t be at his best, as proven in all the losses during this brief playoff run, this team is doomed for failure. Honestly, I didn’t know what to make of that except to shake my head. Never thought I would hear such a comment especially when he’s been the second best goalie on most nights. Does that sound like a leader owning up? Maybe that’s his own way of staying positive. In any event, perhaps it’s time to unburden Luongo and allow him to focus on what he’s paid to do – stopping pucks. So, if not Luongo, then who should wear the “C”? Like many, my choice would be Ryan Kesler but can he lead effectively when he’s injured? If Willie Mitchell leaves, which seems highly likely, none of the defensemen would qualify. That leaves Henrik as the only logical pick. Somehow I’m not convinced he can lead and raise his game to another level. 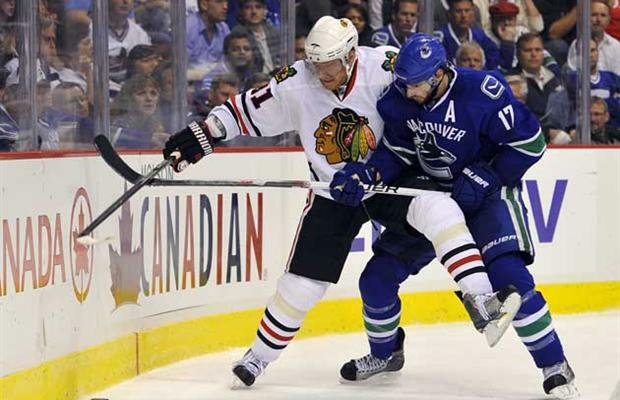 Both L.A. and Chicago exposed the lack of size and toughness in Vancouver’s defense and Mike Gillis needs to address that quickly should the team run into the Blackhawks again in future playoffs. As well, only Ehrhoff, Edler and O’Brien are on the right side of 30 so getting younger is another issue. Dan Hamhuis, would be a good starting point. Gillis should also look at Chicago’s third and forth line as examples of what they need to look for this summer when reconstructing the bottom 6 forward group. Kyle Wellwood showed me that he does have something to offer in the playoffs but if there is a free agent upgrade out there, I would not hesitate to bring him in. The ideal situation would be for Michael Grabner and Cody Hodgson to step in as the seventh and eighth forward, augmented with an older, gritty free agent. As for forwards 10 – 12, bring in more grit and someone who can win face-offs consistently. Finally, talk is cheap. 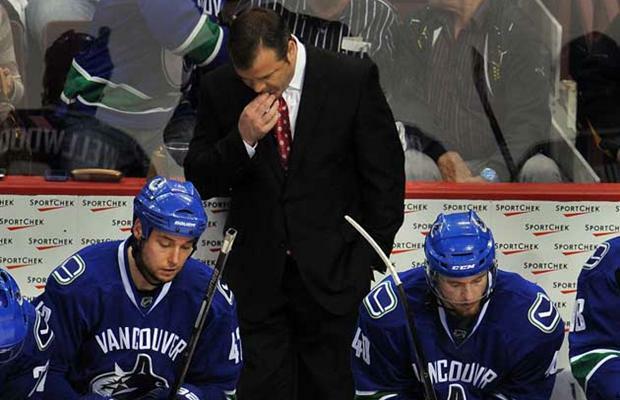 Despite what the Sedins said about this year’s team being mentally stronger, more experienced and composed the exact opposite happened in games 3 – 4 which cost Canucks the series. I sincerely hope they mean it when they say they will learn from this. It’s getting tiresome to hear the same comments every year. So, it’s off to the links they go…….